Showing 39 articles from April 19, 2017. RAPT ATTENTION. 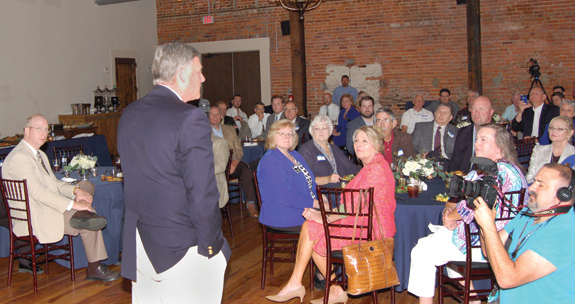 Sen. Richard Burr takes questions from those gathered at Cross and Main in Youngsville, which served as the site for the Chamber reception on Tuesday evening. YOUNGSVILLE -- The Greater Franklin County Chamber of Commerce invited Sen. Richard Burr to Franklin County, recognizing him for an award he received for his support of pro-growth legislation. After thanking the business community and governmental leaders for their support, he talked about efforts to keep the country safe, how the economy needs to grow at a higher rate and how the federal government needs to start getting out of the way of state and local governments. 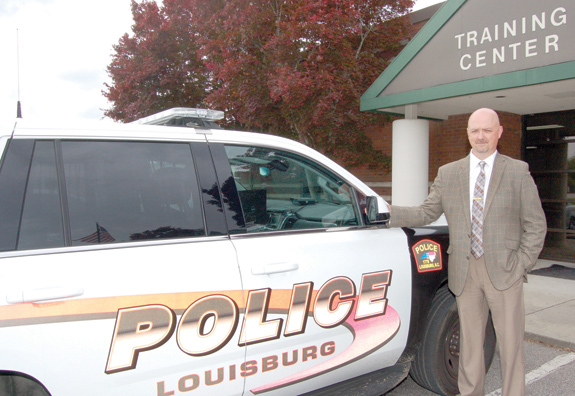 LOUISBURG -- The Town Council didn't have to look far to name the new leader of the police department. Following a closed session, the board selected Jason Abbott as the town's interim police chief. He'll oversee a department of nine full-time and four part-time officers, plus administrative staff. "I'm certainly grateful for the opportunity to be able to serve here as police chief," said Abbott, who came to the department in the summer of 1996. 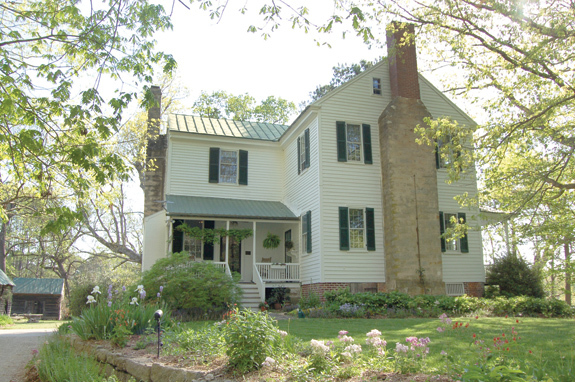 LOUISBURG -- Bill Lord and Sue Guerrant's Woodleaf home has quite a story to tell. Built in the early 19th century, Nicholas Massenburg's plantation home was enlarged in 1838 with the aid of white, free black and slave carpenters. Massenburg, in a rare move, kept a journal of the building process on the Woodleaf home. Somehow, a black descendant of the Massenburg plantation found out about the book and sought it out, finding in that journal, the names of slaves he recognized as family names. Members of the Justice Volunteer Fire Department -- and many of their supporters -- paused Saturday afternoon during a fundraiser to award a plaque to one of their own who risked his life to save the life of another. 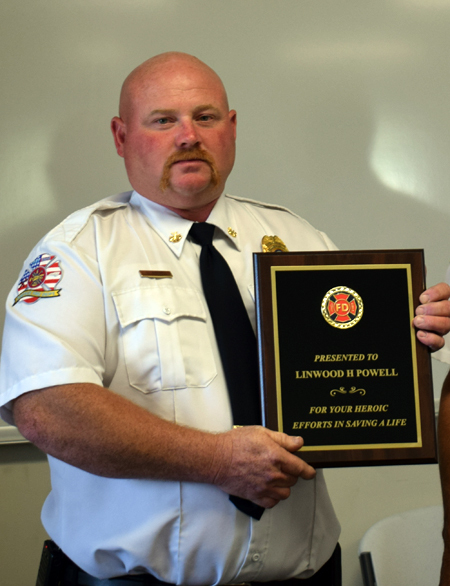 Justice Fire Chief Linwood Powell was presented a plaque recognizing his bravery and sacrifice when he responded to an April 1 fire call. Powell and many other area firefighters were attending a Franklin County Longbeards Hunting Heritage Banquet nearby when the call went out that a home on Fox Park Road was on fire. 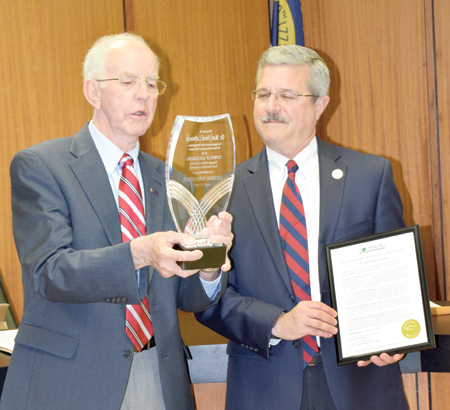 LOUISBURG -- The Louisburg Town Council took a brief break from routine business during its Monday night meeting to salute the "outstanding community service" of out-going Louisburg College President Mark La Branche. The council later appointed Capt. Jason Abbott as interim police chief. (See related story.) The resolution passed unanimously by the council said Dr. La Branche was being honored for his "unselfish service to the citizens of Louisburg and his dedication to providing unparalleled leadership to Louisburg College." Have an idea to promote the history and culture of the Upper Tar River region? The Tar River Center for History and Culture would love to hear it. A forum to solicit ideas from the public on future directions for the center will be at 7 p.m. Tuesday, May 2 at Louisburg's Police and Fire Training Center on Wade Avenue. Okay, somebody must put on their "big person" clothes on and pull the trigger. Make a decision. Get off the dime. Do something! For more than 25 years -- a quarter of a century! -- I've been writing about the lack of sufficient water supplies in Franklin County to accommodate industry and support all types of growth. It's been a while since this stupid idea has floated around Raleigh, but like poison ivy and ticks, it's an idea that has returned this spring. Instead of looking out for the well being of their constituents, some of our beloved lawmakers in the Capital City are looking out for their contributors. 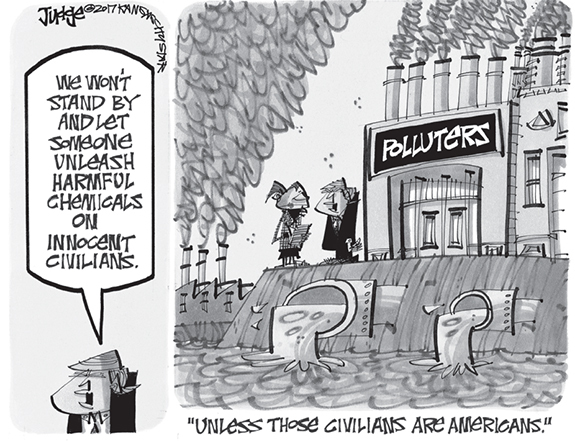 And, as in most things political, constituents and contributors have very different goals! 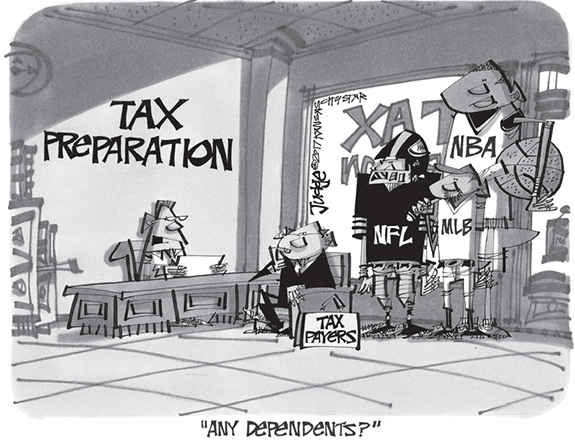 In this case, a few lawmakers are trying to prohibit local and county governments from imposing impact fees. When you cover county and town government, police departments, the sheriff's office and the court system, it's not very often that you get to cover an event with a smile on your face. Last Saturday was a shining example, as both the Franklinton Parks and Recreation Department, the Franklin County Parks and Recreation Department and the efforts of the Friends of the Youngsville Library were on full display. Dear editor: April is Sexual Assault Awareness Month. This year's theme, "Engaging New Voices," builds on the idea that we are stronger together, and that new partners and community members are needed to expand sexual assault prevention efforts. LOUISBURG - Beulah Pernell Mosley, 87, died Wednesday, April 19, 2017. The family will receive friends from 7-8:30 p.m. tonight, Thursday, April 20, at Lancaster Funeral and Cremation Services, 804 N. Bickett Blvd. Louisburg. Funeral services will be held at 11 a.m. Friday, April 21, at Mountain Grove Baptist Church. Burial will follow in the Faulkner family cemetery. SAFE-TY FIRST. 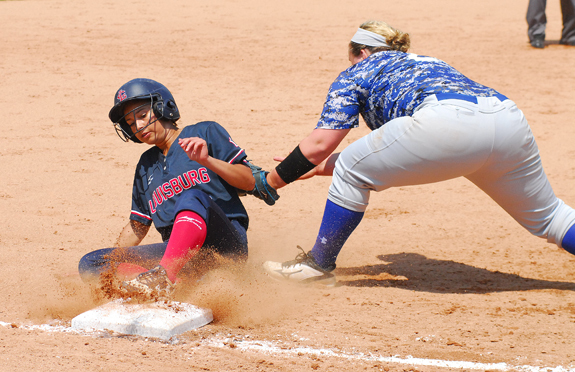 Louisburg College's Tiffany Ellison (left) slides safely into third base during last Friday's home victory over Surry Community College. LOUISBURG -- Courtesy of a phenomenal regular season, the Louisburg College Lady Hurricanes will arrive at the Region X Softball Tournament with a collective bull's-eye on their backs. That's what happens when you post a 32-6 overall record and drop just one game in league play en route to winning the regular season championship. 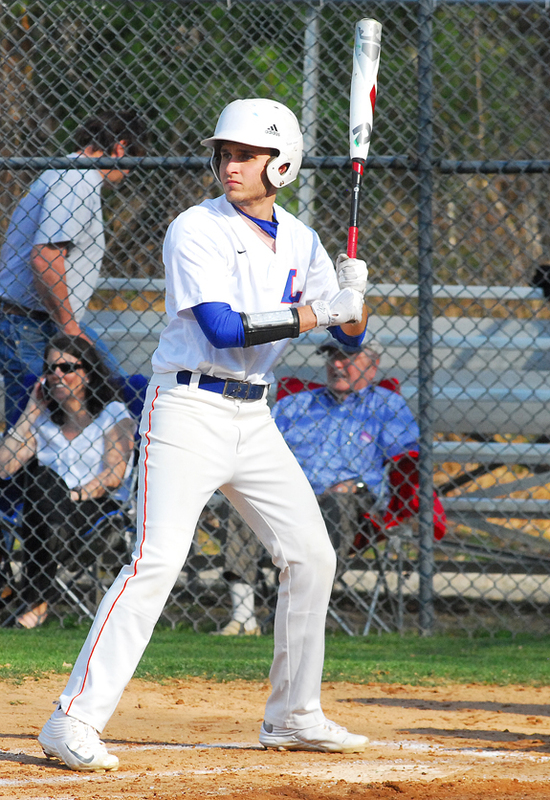 But while the regular season run was certainly a thrilling ride, the memories won't be quite as abundant if LC isn't able to finish the job by taking the tournament and earning a spot in the districts in early May. KAMESHA'S QUEST. 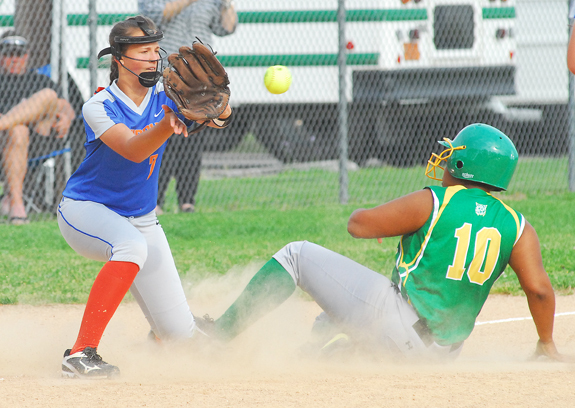 Bunn's Kamesha Rogers (right) is safe at third base as Louisburg's Chelsea Roberson reels in the throw during last Wednesday afternoon's fast-pitch softball showdown on the BHS campus. BUNN - Only a handful of players have blasted an over-the-fence home run at the Bunn High School softball field -- but Ladycat sophomore Emily Bell did the next-best thing during last Wednesday's home softball meeting with rival Louisburg. With two outs and the bases clear in the bottom of the eighth inning, Bell ended the marathon with an improbable inside-the-park homer to send the Ladycats to a 5-4 thriller over Louisburg at the BHS Softball Field. BUNN -- After several years of collecting dust, the scoreboard at the Bunn High School Soccer Complex is finally working after being repaired. But it took awhile for the Bunn Ladycats to get the numbers to add up on the scoreboard during last Thursday's home non-conference meeting with backyard rival Louisburg. During the squads' meeting one week earlier, the outing was ended early due to the mandatory nine-goal rule. LOUISBURG -- Coach Al Bolton's Louisburg Warriors are primed for another strong finish in the Tar-Roanoke Athletic Conference -- and seem destined to earn a spot in the Class 1-A State Playoffs. LHS is now 9-5 overall and 5-2 in the TRAC after earning a forfeit victory last Thursday against the Southeast Halifax Trojans. Oxford Prep currently holds down the top spot in the TRAC and controls its own destiny in the league standings. HICKORY -- Long-time friends and rivals Vanisha Wilshire and Charity Snelling were at it again last week at the annual South Atlantic Conference Track and Field Championships. Both Louisburg's Wilshire and Franklinton's Snelling offered clutch performances at the event, which was held at Lenoir-Rhyne College in Western North Carolina. Wilshire, a sophomore at Wingate University, took first in the Women's Triple Jump with an effort of 11.84 meters. 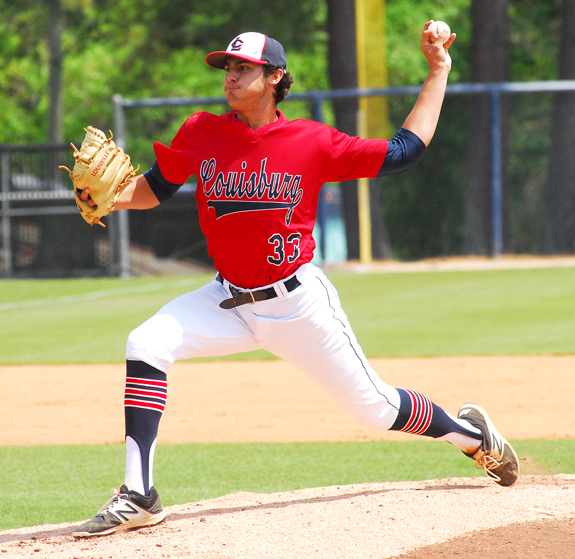 LOUISBURG -- Under past circumstance, this weekend's four-game baseball series between Louisburg College and University of South Carolina-Salkehatchie would simply feature two clubs playing out the regular season string before the annual Region X Tournament. 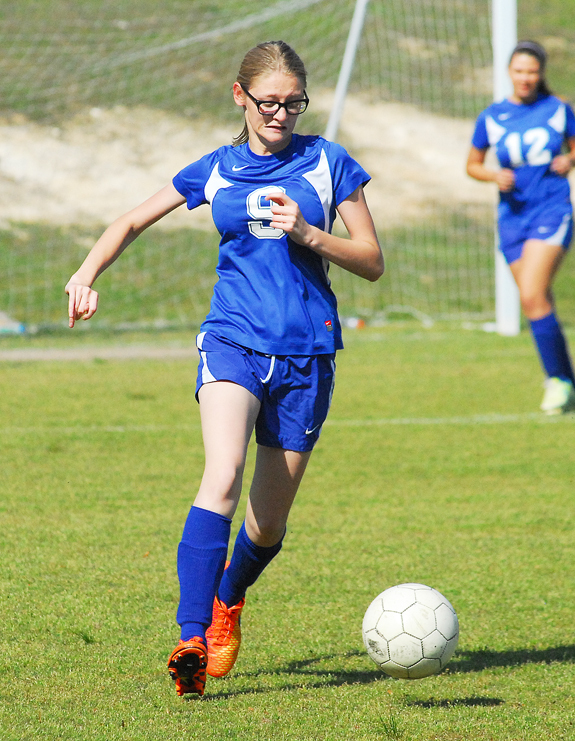 But the stakes are much higher this spring as the region has revamped its postseason formula. Under the new rules in the six-team league, the top two clubs in the regular season earn first-weekend tournament byes. GREENSBORO -- Bunn High School alum Stephanie Williams is enjoying a strong freshman season as a member of the North Carolina A&T softball squad. Williams, an infielder, has started all of the Aggies' 38 contests. She is batting .232 with 22 hits in 95 at-bats. She has come through with two doubles, one triple and seven RBI while helping A&T to an 11-26-1 overall record. Williams will be close to home April 29-30 when the Aggies travel to North Carolina Central in Durham for a four-game series. HENDERSON -- Vance-Granville Community College celebrated Vanguard student-athletes at its annual Athletics Banquet, held on March 31 in the Civic Center on the college's Main Campus. VGCC Coordinator of Student Activities & Athletics Jermiel Hargrove started the event by praising the students for their hard work, both on the court and in the classroom. 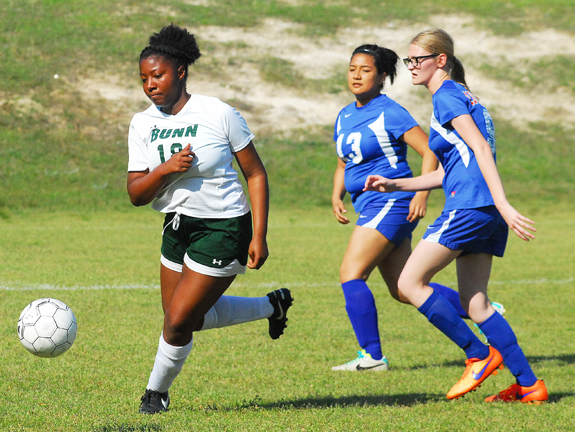 Bunn High School's Antonia Smith (left) chases down a ball last Thursday against rival Louisburg. 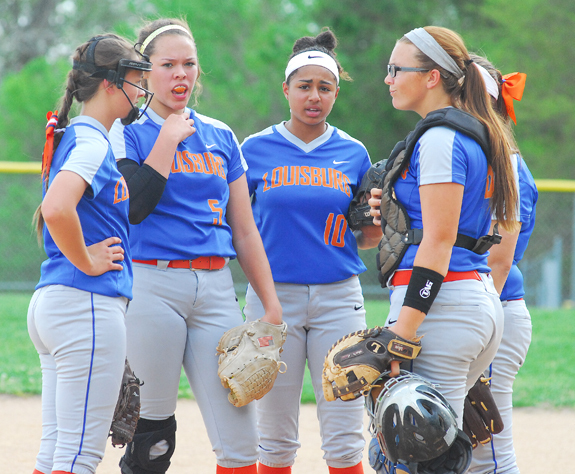 Louisburg High School's infielders and battery discuss a situation during last Wednesday's road softball game against rival Bunn HS. Murphy's Supermarket, located on Nash Street in Louisburg, attracted customers from throughout Franklin County over a period of nearly 50 years. The longevity of the business, despite competition from chain stores, resulted from the owners' commitment to continuous improvement and good customer service. Founded by George Washington Murphy and his son Maurice Clifton, the business began as G.W. 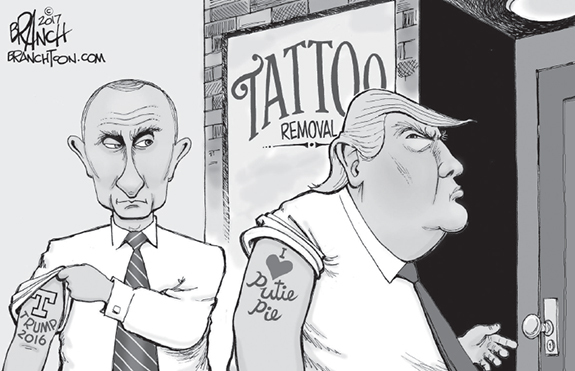 Murphy & Son. 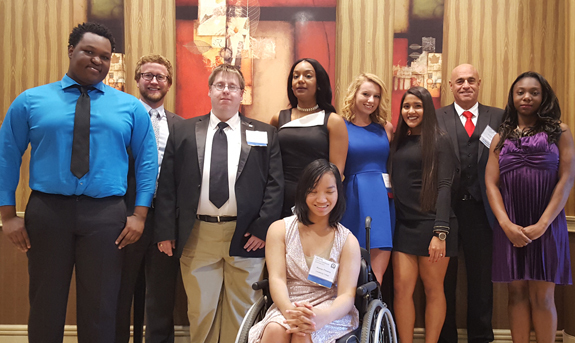 CHARLOTTE -- Louisburg College's student business leaders have won first place in two categories and second place in two others in North Carolina's Phi Beta Lambda Leadership Conference. Those awards qualify four students to participate in the National Leadership Competition in Anaheim, Calif., in June. A Louisburg College team -- Kathryn O'Leary of Franklinton and Dajah Denis of Durham -- placed first in the Social Media category in the state conference last weekend in Charlotte. O'Leary also earned second place in the Job Interview category. HENDERSON -- J. Henry Banks, who recently retired as chief judge of the North Carolina Ninth Judicial District Court bench, and his wife, educator Mamie B. 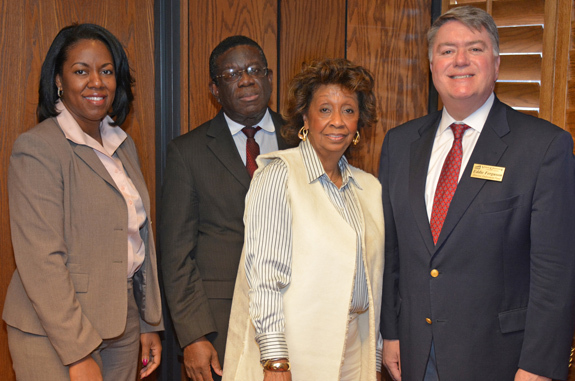 Banks, recently established a new scholarship at Vance-Granville Community College. Judge Banks said that in addition to his wife's experience in the teaching profession, he has always had a passion for education, as well. "We're endowing this scholarship to provide financial support to help people pursue their dreams," said Judge Banks, who held court in Franklin, Granville, Vance and Warren counties. ORLANDO -- Ursula Kennedy of Louisburg has received her Master of Science in Nursing - Leadership and Management from Western Governors University (WGU). The university held its 32nd semi-annual commencement ceremony at the Disney Coronado Springs Resort in Orlando on Feb. 11 and celebrated the graduation of more than 11,000 graduates. LOUISBURG -- While a majority of the most recent Utility Advisory Committee meeting was spent discussing a resource that the county is trying to get a handle on, there was also discussion about a resource that the state is trying to take away -- impact fees. Franklin County charges new developers a capacity replacement fee of $350 and $400, respectively, for water and sewer, based on the number of bedrooms. The fee is designated to cover the debt associated with rising costs created by new development. SHELBY -- The North Carolina Association of County Clerks recognized Franklin County's clerk with its top honor. 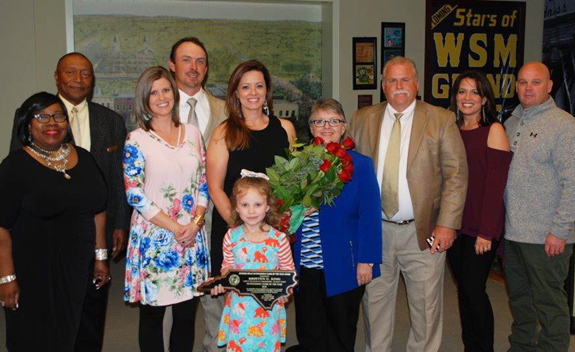 The Association presented Kristen King with the Howard Holly Outstanding Clerk of the Year Award last week during the Association's Annual Conference in Cleveland County. The Conference was held at the Earl Scruggs Center in Shelby. The Cypress Creek Democratic Precinct will have a meeting on April 27 at 7 p.m. at the Lake Royale Commons Building. 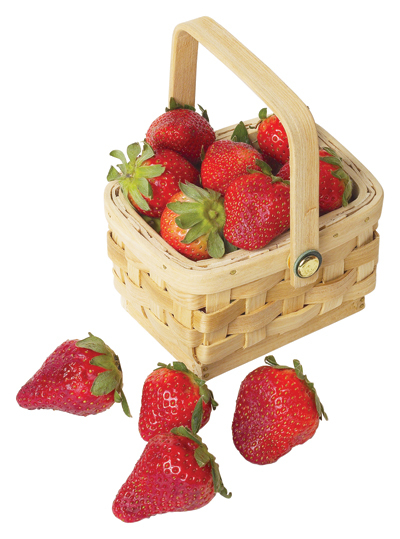 The annual Franklin County Strawberry Festival will be held Friday, May 5, 10:30 a.m. - until, at the Franklin County Farmers' Market, Shannon Village Shopping Center in Louisburg. All recipe entries are due by 10:30 a.m. and judging will begin at 11 a.m. Free strawberry ice cream will be served at 11 a.m. There will be a recipe competition for adults and youth, including cakes/pies, breads/muffins, and novelties, all made using strawberries. 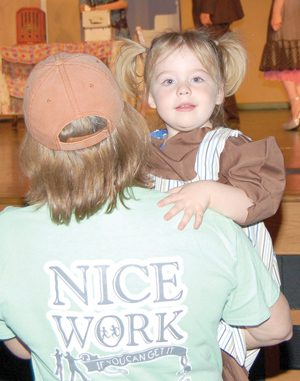 Kerr-Tar Area Agency on Aging, which serves Franklin, Granville, Person, Vance and Warren counties, will celebrate National Volunteer Week, April 23-29. It is an annual celebration observed in the United States that promotes and acknowledges volunteers. "We rely heavily on volunteers for several of our programs, whether it's to teach our Living Healthy workshops in the community, keep score during our regional Senior Games or delivering meals to more than 350 of our homebound adults throughout the five-county area," says Jillian Hardin, Director, Kerr-Tar AAA. LOUISBURG -- A Franklin County man has filed suit alleging a local electric cigarette retailer negligently sold him a battery that exploded in his pants pocket, burning his lower extremities. Attorneys for Willie Loyd filed a lawsuit in Franklin County Superior Court last month claiming that a battery he bought for an e-cigarette -- upon the recommendation of the proprietor of the Tobacco & Vapor store in Louisburg -- exploded and engulfed his leg and lower body in flames the afternoon of Oct. 19, 2016. YOUNGSVILLE -- Town commissioners agreed to commit an additional $65,500 to the planning and engineering work necessary to reshape the downtown landscape. Last month, town planners notified commissioners that Kimley-Horn engineers would need more than the allotted $82,500 to perform the work -- which will serve as the blueprint for the Main Street Improvement Project. 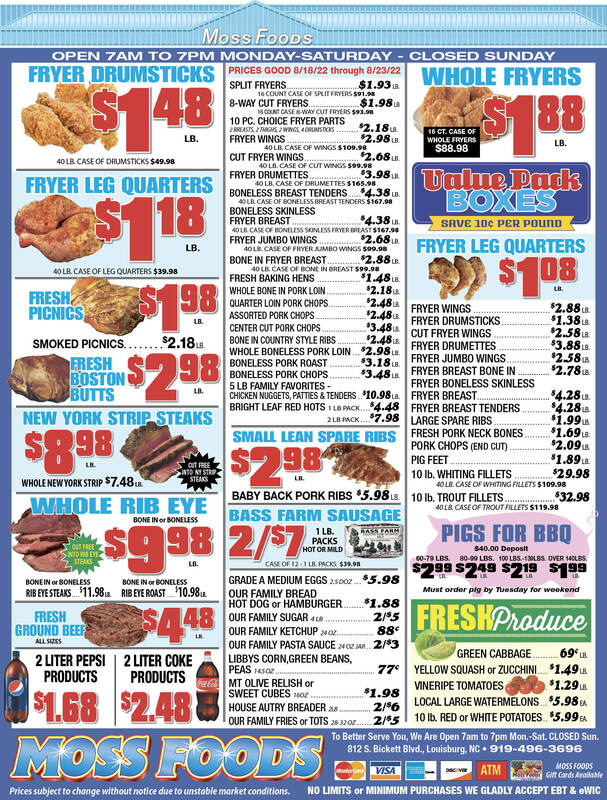 LOUISBURG -- The N.C. Judicial Branch and Office of Guardian ad Litem (GAL) are taking this opportunity to recognize the more than 5,000 GAL volunteers across North Carolina, including those here in Franklin County, who help improve the lives of children and youth. April, which is Child Advocacy Month and National Child Abuse Prevention Month, acknowledges the importance of families and communities working together to advocate for children while preventing child abuse and neglect. Can Youngsville hit the target on gun ranges? YOUNGSVILLE -- Town commissioners agreed to host two public hearings next month, the results of which they expect will guide them in how they regulate gun ranges. In March, town planners notified town leaders that they had begun to rework the town's ordinances governing gun range activities. OXFORD -- Union Banc Corp. , the holding company for Union Bank & Trust, reported consolidated net income of $1.1 million for the year compared to $1.2 million in 2015. As of Dec. 31, 2016, UBC reported consolidated assets of $299.4 million, an increase of 13 percent over assets of $265.3 million as of Dec. 31, 2015.